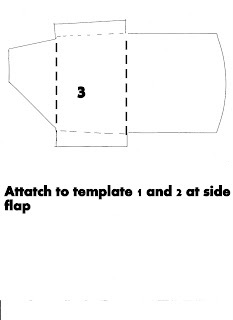 I'm re posting this for all those that attended stampcation, you can print the template and make your own little fortune cookie box! Check back to see the new project I will be making with this fun template! I know you will have fun with this takeout container!! Thanks so much for taking the time to make the video - I totally GET IT now!!!! You rock! I got the link to your blog from Where the Rubber Hits the Road. Love the whole fortune cookie & box idea! 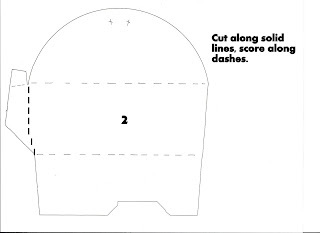 Now I might be a little dense, but when I clicked on the template for the fortune cookie box it looks like I have to pay for the template for the box that holds the cookies? Is that correct? Sorry I'm new to all of this with downloading templates. 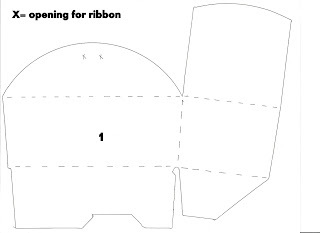 I can't seem to download the first template part, there is no link attached to it. Don't know if you'll even get this being as so much time has passed since your post. A year and a couple of months to be exact. But I thought it might be nice to let you know you saved the day. I had found the idea of making paper fortune cookies as wedding favors and seeing as my daughters wedding has an Asian theme we loved the idea. Then the time came for us to actually make the cookies. Now i consider myself to be quite coordinated and crafty. We made paper cranes for the name place holders and they came out fine. But our cookies jus weren't coming together right. The technique and way you describe made all the difference now my cookies look like cookies instead of crumpled pieces of paper with a message in them.lol Just wanted to give you a thank you shout out. Gotta run now got 100 fortune cookies to make.